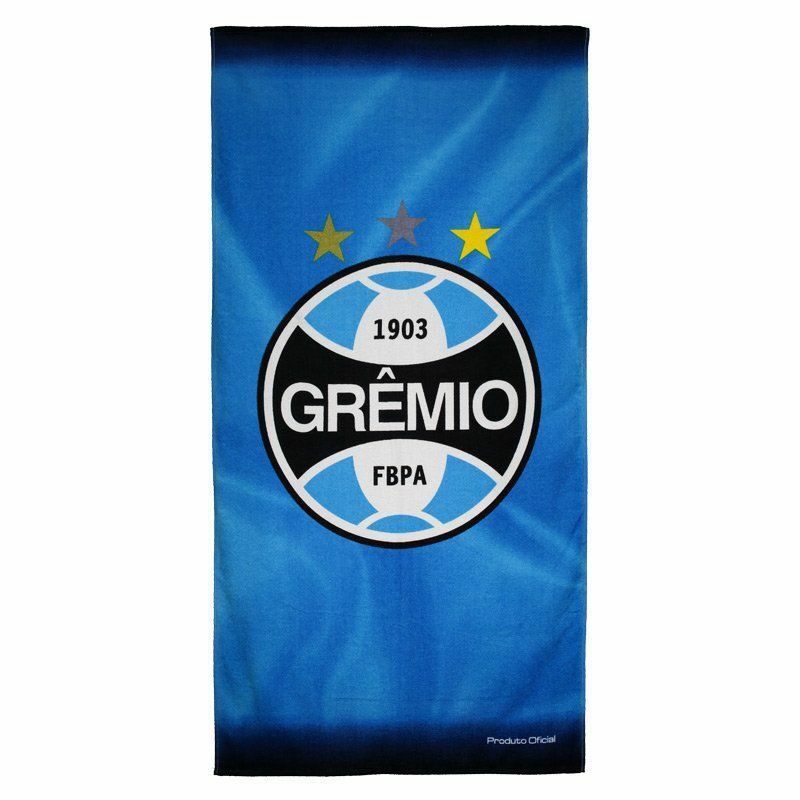 Made by Bouton, the Grêmio Velvet Towel is the perfect choice for those in love with Tricolor of Pampas to show their love for the team in the smallest details. Made of pure cotton fibers, the towel offers a soft touch and velvet material. More info. Made by Bouton, the Grêmio Velvet Towel is the perfect choice for those in love with Tricolor of Pampas to show their love for the team in the smallest details. Made of pure cotton fibers, the towel offers a soft touch and velvet material, providing maximum comfort while absorbing water from the body with ease. In addition, its design is composed of blue color with gradient effect on the edges. Finally, the team badge is seen prominently. Quality and comfort in a single product.